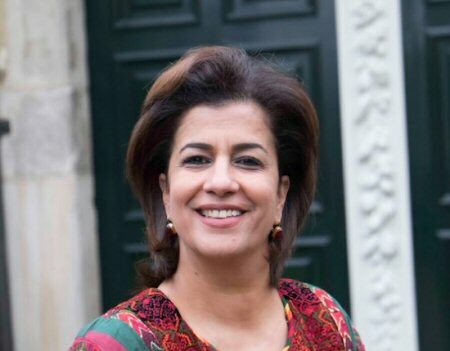 Rawan Suleiman, Palestine’s ambassador to the Netherlands and International Organizations in The Hague, presented on Monday, in official ceremonies, her credentials to the Director General of the Organization for the Prohibition of Chemical Weapons (OPCW), Ahmet Üzumcu, as Permanent Representative of the State of Palestine to this organization. Uzumcu welcomed the accession of the State of Palestine to the organization, saying that this strengthens the role and objectives of the OPCW in preventing the proliferation, use and stockpiling of chemical weapons. Palestine acceded to the OPCW on May 23, WAFA reports.